Here’s my triumph of the day: getting Scrivener to export about 400 separate documents into a single file that you can then import into MaxQDA with a code that will then separate them out again into individual documents in MaxQDA. 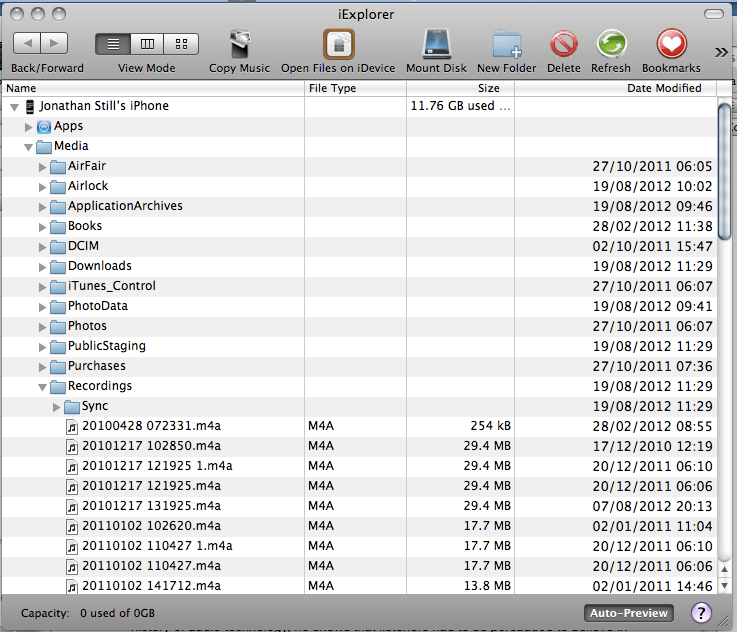 If you’re wondering why, it’s because the bulk of my data and a lot of memos and notes were entered in Scrivener, but I want to export it into MaxQDA to analyse it. Time taken? About 10 minutes to figure it out, 10 seconds to execute it. To do such an import in MaxQDA, you need to prefix every title or separate section with #TEXT, so that the resulting document has #TEXTYourTitleHere before each section. When you import that document, MaxQDA creates a separate document at every point where it reads #TEXT, adding a title of its own if you haven’t specified one. In the Scrivener compile dialog, select the folder(s) that contain(s) the documents and subdocuments (if any) you want to send to MaxQDA. 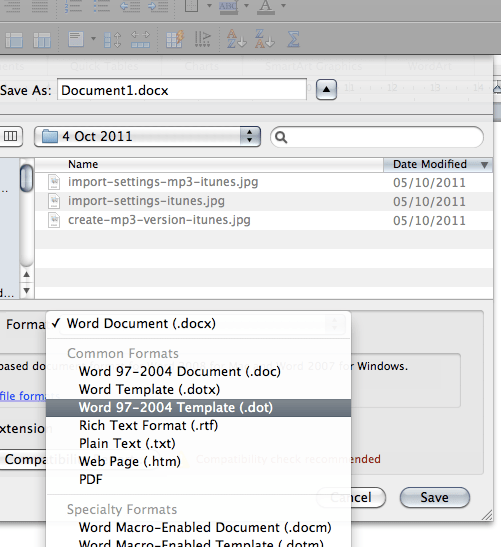 You will now have one big file that contains all your Scrivener subdocuments, with #TEXT appended to each title. 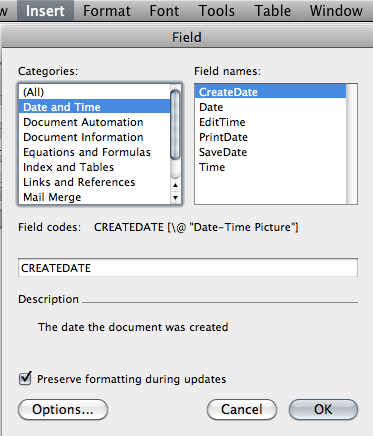 Now import the compile file into MaxQDA using the “Import structured document (Preprocessor)” option. Sit back and watch all your Scrivener document structure replicate itself in MaxQDA. This entry was posted in Uncategorised and tagged IT, IT tips, MaxQDA, Scrivener, research on December 8, 2015 8:04 am by Jonathan Still. I can’t remember when this started, but for a while now, if you paste a link into Facebook from the Guardian, you get the 404 page above as a thumbnail. If you click on the link, it does go to the page you wanted to link to, but who in their right mind would want to click on a 404 error? Do it before you copy and paste the link rather than adding it when you write the post, because most of the time, Facebook will already grab the 404 page and grab it before you’ve had a chance to edit. So add the slash in the address bar, then copy it, then paste it. By the way, it’s a great article, so do click on the link and read it, as well as taking the tip. This entry was posted in Music and tagged IT, IT tips, Music on May 16, 2015 7:28 am by Jonathan Still. Yesterday I had the first and only WordPress crisis ever since I installed it several years ago. When I tried to update an old post, the post would just revert to it’s previous state, losing the text that I’d added. I tried all kinds of things with plugins and cache etc., none of which solved it. Then last night, my front page said ‘You’re looking for something that isn’t there’, and displayed no data. This morning, I clicked on a link to a post, and it was ‘not found’. I then decided to follow one of the hundreds of bits of advice I’d seen yesterday while searching for an answer. It seemed the most drastic, so I didn’t take it then, but today I effectively had no site any more, so I thought I might as well. I wish I could remember whose advice it was to thank them, but I can’t, but whoever you are, thank you. I did this, it took 2 seconds, and everything’s now back to normal. I don’t really want to know why, i”m just glad it worked. This entry was posted in Personal and tagged CPanel, IT tips, Personal, SQL databses, problems, wordpress on September 16, 2012 7:51 am by Jonathan Still. Here was today’s musical problem – what’s the tune that Deanna Durbin singing in this film? I need the score immediately for a recording. I know it’s Strauss, but which of his hundred’s of waltzes? Where do you start? Well, I started at Musipedia, and typed the opening theme in, but had no luck, so I tried Peachnote instead. I entered the first five notes, and nothing came up. So I tried doing what the tune does exactly – which is to repeat those same five notes. In a matter of seconds, Peachnote had found it, and taken me directly to the violin part in the IMSLP library where it had found the melody. Answer? Zigeunerbaron. To see the search results, click here. This entry was posted in Music and tagged IT tips, Music, Name that tune, Peachnote, melodies, musipedia, searching, tunes on July 13, 2012 8:43 am by Jonathan Still. The Voice Memos app on the iPhone is one of its most useful features, but for maybe a year, it’s proved impossible to get voice recordings from my iPhone and onto my Mac so that I can do something with them. I’m not the only one – the web is crammed with forums documenting the same problem, with all kinds of baroque fixes and suggestions, most of which I’ve tried without success, or with only temporary success until the next OS or iTunes update. That such a basic and important feature of the iPhone/iTunes has been left to rot by Apple is appalling. I still prefer the iExplorer method myself, because it gives me greater control over what I’m doing, and at least I know it’s done it. This entry was posted in Uncategorised and tagged Apple, IT, IT tips, iExplorer, iPhone, iTunes, software, voice memos on March 20, 2012 7:30 am by Jonathan Still. Type this in the address bar. You’ll get a list of plugins used in Chrome. Scroll down to ‘Chrome PDF viewer’ and click ‘disable’. This entry was posted in Personal and tagged Chrome, IT tips, PDF, Personal, adobe, preferences, preview on February 7, 2012 9:59 am by Jonathan Still. Use conventional tools if they’re better suited to the job at hand. Notebooks (real notebooks, not the electronic kind) are cheap, robust, durable, don’t need electricity, don’t require any special skills, offer fast random access, and boot up immediately. They are less distracting in a hundred ways than a computer, and much quicker to use. They’re light and portable, and can be tilted, folded, bent, torn, listened to, stroked and smelled. A notebook hides nothing away in files, folders and applications. If it’s in there, you’ll find it. Handwritten notes bear the indelible marks of the day when you made them – the colour, weight and angle of the pen, the speed of your writing, minute irregularities of line and shape. A coffee or red wine stain may remind you where you were when you made it. These things are erased or never inscribed by a computer. Many brilliant people I have met from fields as diverse as management, retail, choreography, design, writing, academia and computer programming use notebooks for the big stuff – planning, thinking, sketching, dealing with people. By contrast, I’ve watched hours of working life go by where technology has provided the appearance of serious activity but achieved nothing. My personal favourites, for design and paper quality, are the B5 notebooks from Muji that come in packs of 5 for £4. What’s yours? This entry was posted in Advent calendar and tagged IT, IT tips, advent 2011, creativity, notebooks on December 25, 2011 3:09 pm by Jonathan Still. 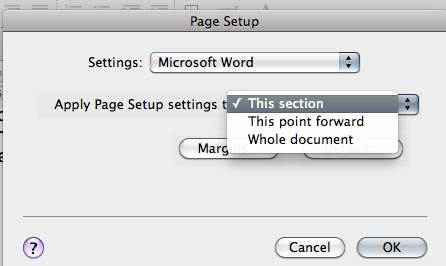 Start a new document in Word. From the dialog box that appears, look down to the ‘Format’ field, and change the Format to one of the Template (.dot) options. Choose Word 97-2004 Template if you’re sending it to someone else (just to be safe), Word Template (.dotx) if it’s only you that’s going to be using it. To use the template (these instructions are for Word for Mac 2008 – in Word for Windows, you go to File>New and then select ‘from template’ ). 2. 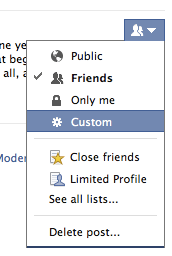 From the menu that appears, select ‘My Templates’ and the template you created will be there. 3. Click on the template. 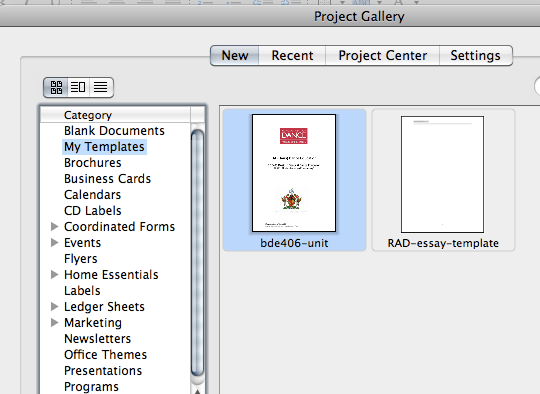 A new blank document will be created with all the features that you specified. 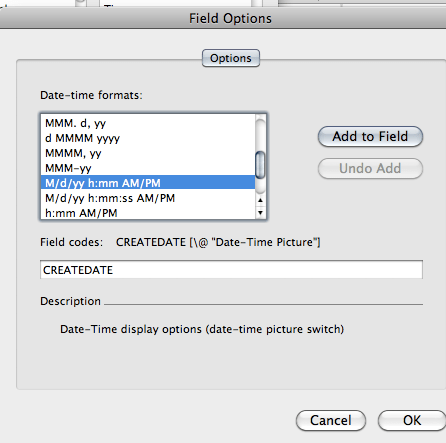 If you inserted an automatic date field, today’s date will be inserted (see instructions below). 4. Save this new document as something meaningful on your computer. Templates can be very complex things: for example, I’ve got one that I use for creating units in module study guides that have to have a cover page with the company logo on, page numbering, particular heading and text styles, and so on. Clicking on ‘Template’ creates a whole new document with a cover page including all the graphics. Used in conjunction with forms (see earlier post on forms), templates can be doubly powerful: you could for example create an invoice template with form fields for all the variable data like the name of the job and the unit price and so on. Another way to use templates is to drag a shortcut to the template to your desktop. That way, you click on the template shortcut and kerplang! 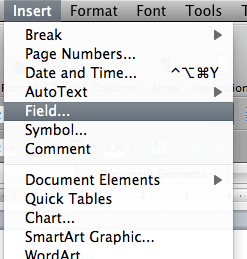 Word starts up automatically with a shiny new document ready for you to type into. To do this, you need to know where the template it stored (see below). 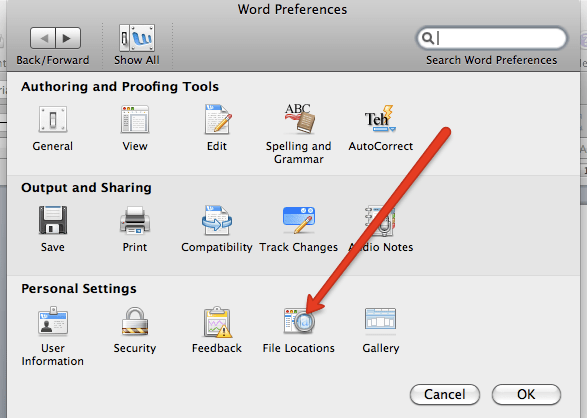 To find out where your computer stores templates, on a Mac go to Preferences pane in Word and select File locations. (it’s under Tools>Options on a PC) Make a note of where the ‘templates’ are stored. You can press ‘modify’ to put them somewhere else. Frankly, I wouldn’t though. This entry was posted in Advent calendar and tagged IT, IT tips, MS Word, advent 2011, forms, templates on December 24, 2011 7:26 am by Jonathan Still. 2. 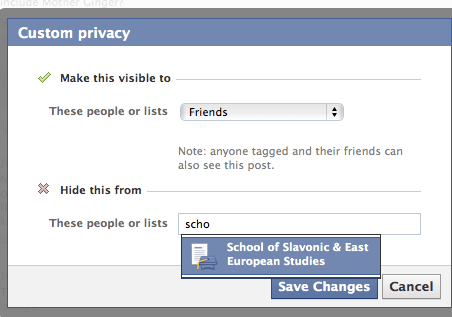 Underneath ‘Hide this from’ start typing the name of the person that you want to hide the post from. Their name will appear – select it. From now on, anything you post will be hidden from this person or list of people (if you added more than one) until you revoke it, but they will not know that you’ve done it. This entry was posted in Advent calendar and tagged IT, IT tips, advent 2011, facebook, hiding posts, social networking on December 23, 2011 11:56 pm by Jonathan Still. NB: Please read the 26/1/2016 update at the end of this page before you try the method below! This is the problem: you need to insert a large table in landscape format into a document that is portrait the rest of the time. You don’t want to make the whole document landscape for the sake of one page, so you need a way of putting one landscape page into a portrait document. This is how you do it. 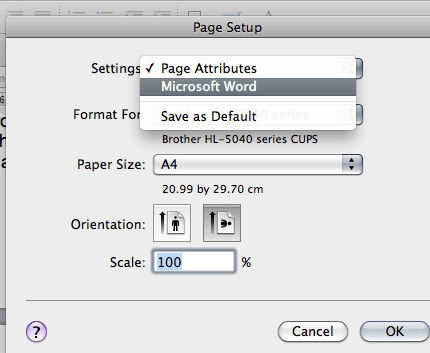 Although the instructions here are for Word for Mac 2008, the over-riding principle is the same in any version of Word – create a section break, then apply the ‘landscape’ instruction to that section only. 2. Now go to File>Page setup and change the page orientation to landscape, and if you’re using a Mac, after you’ve done that, change the settings to ‘Microsoft Word’ as shown below. 5. Make your table or whatever it is on this page. 6. When you get to the bottom of the landscape page, repeat steps 1-4 above but change the orientation back to portrait and apply it to ‘this section’. A recent visitor to this page has pointed out that when she tries to print the resulting document, the page immediately after the landscape page has its margins corrupted, and is shifted 2.5 inches to the right, and bleeds off the page. I’ve checked this and looked on a number of forums, and sadly, it seems that this may be an intractable problem with Word and page orientation changes. To be honest, I don’t know what the problem is, and I have no idea whether it’s all versions of Word, all tables, all documents or whatever, but be warned. The text will rotate (rather than the page) – this means that the page numbers will stay in the same position (one of the unfortunate hazards of the other method, is that the page numbers end up relative to the new page orientation – i.e. in the wrong place. It is then a real pain to put them in the right place using text boxes etc. I guess if you were really keen, you could create a table with the page in portrait mode, but with columns and rows how you’d like them to be when you type in text at 90 or 270 degrees (i.e. long rows, and narrow columns). I don’t like the sound of that, but in theory, it could work if you can (ha ha) get your head round it. If you have a better way of dealing with this let me know. Be aware that you can’t flip a Word table around like this: it only changes the direction of the text, not the table grid. I’m thinking that the only real workaround if you have a complex table that has to have a grid, and can’t be done with tabs alone, is to export the table as a graphic, and then import the graphic and rotate it into the portrait page as required. This entry was posted in Advent calendar and tagged IT, IT tips, MS Word, advent 2011, formatting, landscape, portrait, section breaks on December 22, 2011 8:12 am by Jonathan Still.